The word 'arthritis' means 'inflammation of the joints'. It is derived from two Greek words: athron, meaning joints; and itis, meaning inflammation. It is, generally, a chronic disease process. Arthritis occurs in various forms, the most frequent being osteoarthritis and rheumatoid arthritis. Osteoarthritis is a degenerative joint disease which usually occurs in the older age-group. Rheumatoid arthritis is a serious disease which affects not only the joints of the fingers, wrists, hips, knees, and feet, but also the muscles, tendons and other tissues of the body. Dosage-2 capsules twice daily, with plain water after meals. 1 Bottle will last 15 days. Nirgundi (Vitex negundo): Vitex negundo is described in Ayurveda as one of the most potent natural anti-arthritic herbs. It is very effective in controlling pain and inflammation particularly in arthritis, painful joints and sciatica patients. Shallaki (Boswellia serrata): Boswellia serrata is a very popular natural anti-inflammatory herb used by Ayurveda physicians all over the world. It is commonly known in India as 'Salai Guggul'. The resin obtained from the tree is purified and then used for pain and inflammation.It relieves cervical Spondylitis and other arthritis pains naturally without causing any side effects. Guggul (Commiphora mukul): Commiphora mukul is a known anti-inflammatory agent used by Ayurveda physicians worldwide. The analgesic and anti-inflammatory action is almost immediate. Guggul is also used in weight loss formulas and is effective in reducing weight, thus it also helps osteoarthritis patients as well as cervical Spondylitis pains. Sonth (Zingiber officinale): It is commonly known as dry ginger. Dry Ginger is another useful anti-inflammatory herb. It also improves appetite and good for digestive and respiratory system. Dry ginger remarkably reduce markers of inflammation in the blood and is a very potent analgesic and is a remarkable herbal treatment for pain of cervical Spondylitis..
Ashwagandha (Withania somnifera): Ashwagandha is popularly known as Indian ginseng in the west. 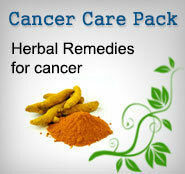 It has known anti-inflammatory, anti-cancer and anti-stress activities. The plant steroids exert anti-inflammatory action where as another active ingredient of this herb root is Withaferin, Which act as a potent stress buster. The main symptoms of osteoarthritis are pain and stiffness in the joints. The pain usually increases after exercise. Rheumatoid arthritis' is often called the 'cooked food disease'. It usually develops gradually over several months, with persistent pain and stiffness in one or more joints. Ultimately the whole body is affected. Symptoms include anaemia, colitis, constipation, deformed hands and feet. Osteoarthritis results from structural changes in the articular cartilage in the joints, usually those which are weight-bearing, such as the spine and knees. Rheumatoid arthritis is due to an inflammation of the synovium or lining of the joints. This is accompanied by swelling and eventually leads to deformity. The condition may be caused by hormonal imbalance, physical and emotional stress, infection, severe fright, shock, and injury. Hereditary factors may also be responsible for the onset of this disease. Potato Juice: The raw potato juice therapy is considered one of the most successful biological treatments for rheumatic and arthritic conditions. It has been used in folk medicine for centuries. The traditional method of preparing potato juice is to cut a medium?sized potato into thin slices, without peeling the skin, and place the slices overnight in a large glass filled with cold water. The water should be drunk in the morning on an empty stomach. Fresh juice can also be extracted from potatoes. A medium-sized potato should be diluted with a cup of water and drunk first thing in the morning. Other Raw Juices: One cup of green juice, extracted from any green leafy vegetable, mixed in 'equal proportions with carrot, celery, and red beet juices is good for arthritis. 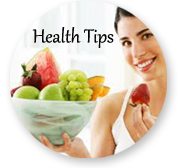 The alkaline action of raw juices dissolves the accumulation of deposits around the joints and in other tissues. A cup of fresh pineapple juice is also valuable, as the enzyme bromelain in fresh pineapple juice reduces swelling and inflammation in osteoarthritis and rheumatoid arthritis. Sesame Seeds: A teaspoon of black sesame seeds, soaked in a quarter cup of water and kept overnight, has been found to be effective in preventing frequent joint pains. The water in which the seeds are soaked should also be taken along with the seeds first thing in the morning. Copper: Drinking water kept overnight in a copper container accumulates traces of copper, which is said to strengthen the muscular system. A copper ring or bracelet is worn for the same reason. Calcium: Studies have shown that calcium can help arthritis.! Several patients have discovered that joint pains have either been relieved or have disappeared entirely after taking calcium. This mineral should be taken in the form of calcium lactate. Two teaspoons of calcium lactate, each teaspoon providing 400 mg of absorbable calcium, may be taken three times daily in water, before meals for at least four months. Alfalfa: A tea made from the herb alfalfa, especially from its seeds, has shown beneficial results in the treatment of arthritis. One teaspoon of alfalfa seeds may be added to one cup of water. Three to four cups of this tea should be taken daily by arthritics for at least two weeks. The body should be kept warm at all times. Joints should not be bandaged tightly as this limits movement and interferes with the free circulation of blood. There should be plenty of indirect ventilation in the bedroom. Rest is advised when there is acute inflammation in the joints.Sea bathing has been found valuable in arthritis. The natural iodine in sea water is said to relieve arthritis pain. As is well known, iodine regulates the acid-alkaline balance in the blood and tissues, helps to repair and regenerate worn out tissues and nourishes the skeletal structure. It enters into the thyroid gland's secretion. The hormone uses the iodine to cleanse the internal toxins. If sea bathing is not possible, the patient should relax for thirty minutes every night in a tub of warm water, in which a cup of common salt has been mixed. The minerals in the salt, especially iodine, will be absorbed through the pores of the skin. This will help correct an internal imbalance.